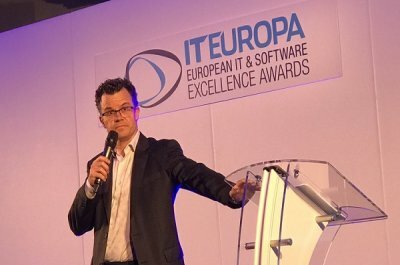 The winners in the European IT & Software Excellence Awards 2017 (www.iteawards.com) - the leading pan-European awards for resellers, ISVs, Solution Providers and Systems Integrators and their vendor and distributor partners – have been revealed at a gala dinner in London on 30 March. Author and comedian Dominic Holland (below) introduced the event in his usual hilarious style and kept the awards moving on a a good pace. More images available here. Thanks to all sponsors and all that took part.